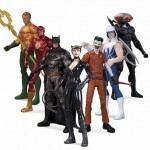 DC Collectibles has posted images of two upcoming Batman: Arkham City Action Figure 2-Packs. The good news is fans are finally getting the clown twins Hammer and Sickle! The bad news is that they don’t come packed together. 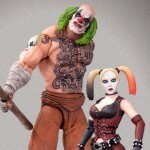 Hammer comes with a repackaged Harley Quinn and Sickle comes with a repackaged Penguin.